Mercy here to chat with you about putting some pizzazz into your scrapbooking. 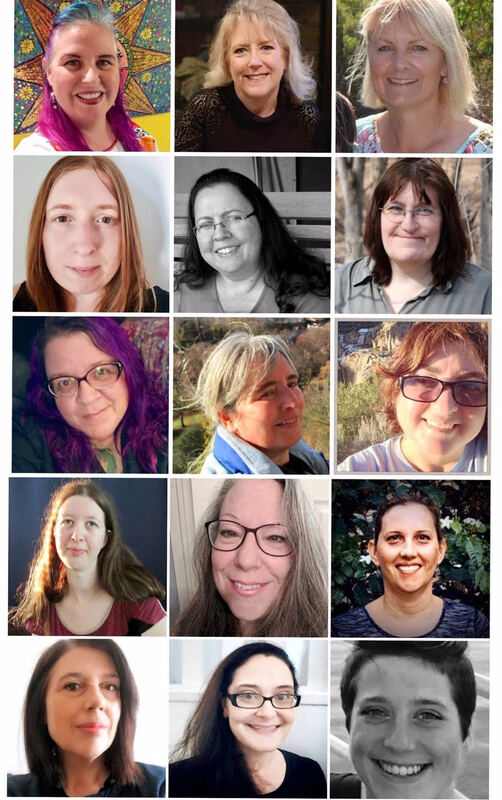 If you're like me, you might like the photo cropping and page design part of the process, but the journaling part is a real struggle. I'm personally uninspired to write down notes about whatever event I'm scraping and have found myself not bothering for years. And then, by that time, I forget dates, times and details of that day. If I do bother to journal, it's usually on a boring piece of scrap and really, doesn't help the actual format of the page. Wanting to change things up with my layouts, I thought it might be nice to highlight the journaling itself by creating these decorative journal boxes to be added onto simplier pages to dress them up. As I created these, I had a lot of fun with coming up with different formats and images for the journaling boxes. 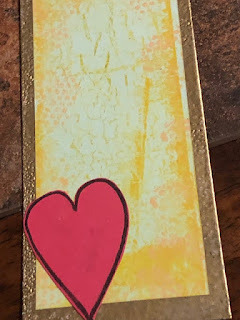 Part of my challenge with this project was to try an use up some twenty plus year old embossing powder and some of the many scraps I have for this project. 1. Find some scraps of paper that you need to use up and cut into 4 X 2.5 strips of paper. 2. 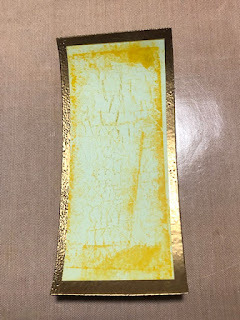 Taking the darker shaded scrap paper, ink the entire surface in Versamark ink and heat embossed with gold embossing powder (you can use any color for this since you are embossing its surface). 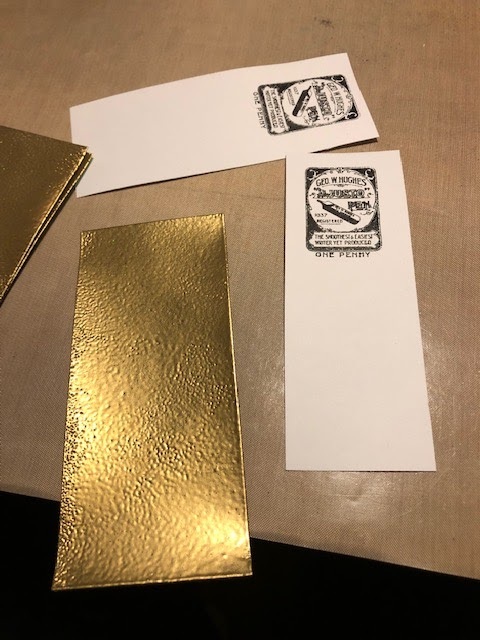 Make sure to cover the entire page with several layers of embossing to get a smooth golden finish and no paper should be exposed. 3. 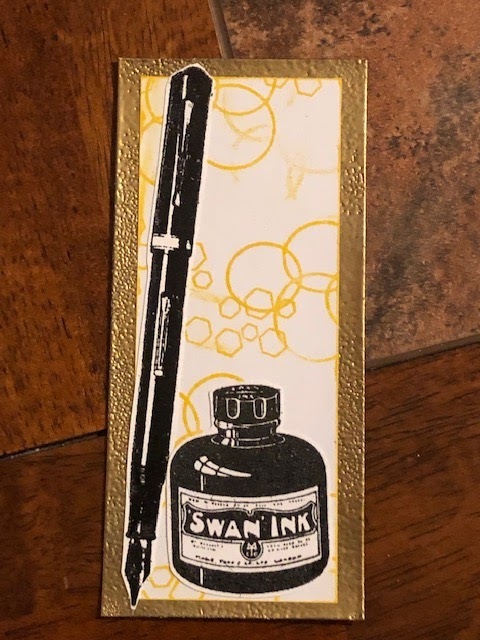 Once the first sheet is cool, set aside and stamp out the various pens, logos and images onto white card stock in black permanent ink with embossing ink and black powder. Heat emboss. After everything is cooled, fussy cut out the pens, ink bottle and smaller stamped images. 4. 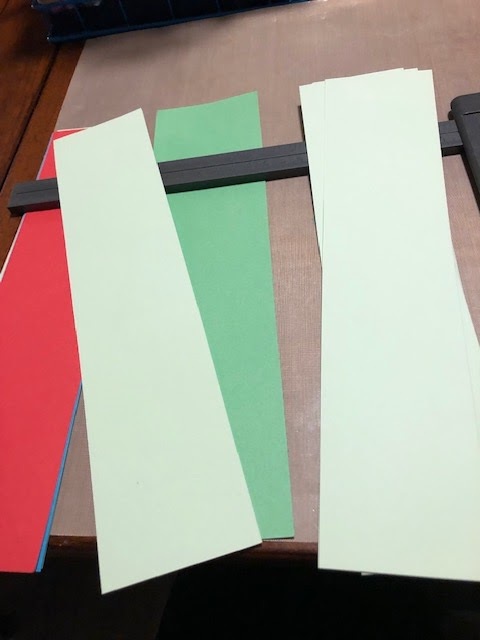 Cut 3 separate 3 3/4 X 2.1/4 pieces of white card stock and one light green scrap. 5. Grabbing one of the white 3 3/4 X 2.1/4 papers, stamp top center of the white paper using the One Penny Geo W. Hughes stamp with embossing ink, then heat emboss with black powder. Embossed strip of paper and the cut down white cardstock with the One Penny stamp impressed. 6. 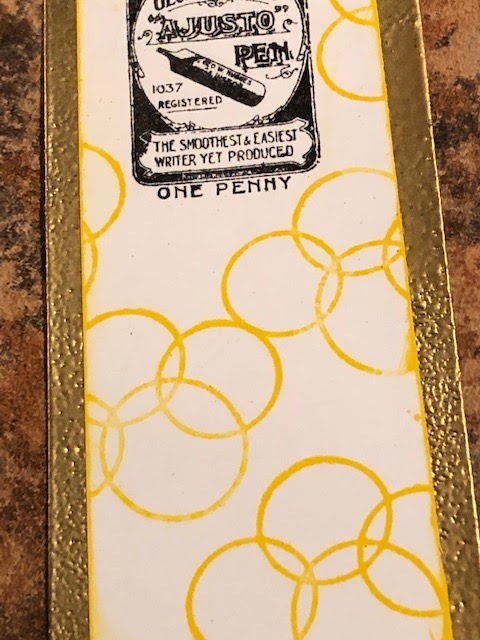 Add the connected Connected Circles in Mustard Seed stamped randomly across the white areas. Ink the edges of the card. Adhere the white stamped card to the embossed scrap. 7. 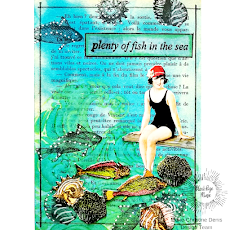 Take the Crackle Background Art Rubber Stamp and the light green cropped paper, stamp across the entire scrap. Fill in the edges and outer rim of the paper with the small Dotted Stamp. Keep in mind to allow the paper below to show through. Small dotted stamp from the Hearty Doodle set. 8. 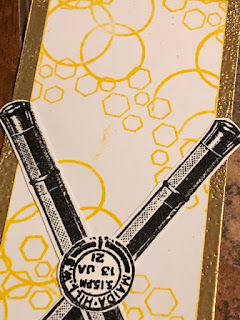 Glue the stamped paper to the embossed background card. Stamp with archival black ink on a red scrap using one of the larger heart doodles. Fussy cut the heart out and glue it to the bottom left corner. 9. Taking the last two white cropped papers, stamp randomly with the connected circle stamp in yellow ink. Adhere that paper to the embossed paper, centering it. 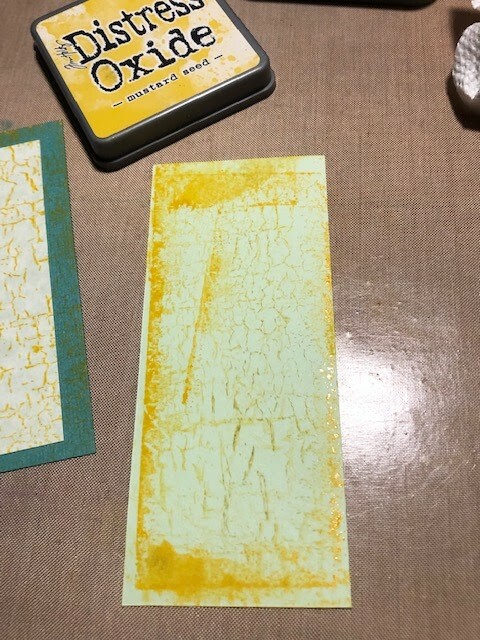 Take the remaining fussy cut embossed images (pens, ink bottle, etc) and arrange across the yellow inked paper. Leave room for journaling. Once you arrange the way you prefer, glue everything down. 10. Attach these to scrapbook pages, or slide into photo albums. Journal across them. Share your thoughts and dream through them. 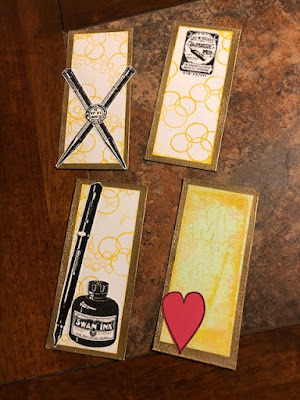 Completed journaling cards. 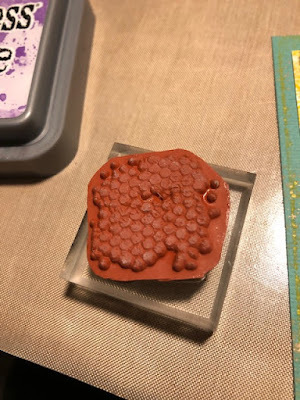 Using this same technique, you can experiment with other stamps as well from Blank Page Muse to match your scrapbooking pages. I just LOVE your clean work Mercy! This yellow!! Such impeccable work my dear!! !